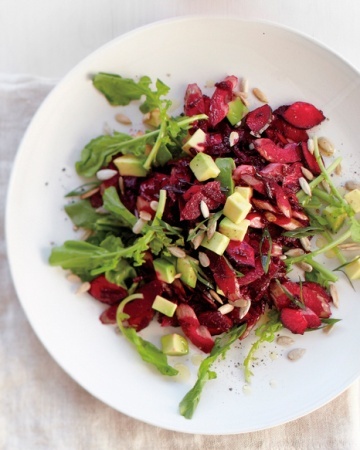 In a large bowl, toss beets, celery, cucumber, and scallions. To serve, toss 2 cups slaw with arugula, oil, and lemon juice. Season with salt and pepper. Top with avocado and seeds.